By the end of 1917, the forces of the Egypt Expeditionary Force commanded by British General Sir Edmund Allenby were firmly in control of Jerusalem. However, the German spring offensive on the Western Front in March disrupted Allenby’s plans for an early resumption of operations in Palestine. Sixty thousand British troops including two divisions, twenty-two infantry battalions and most of the yeomanry were sent to France as reinforcements. The British infantry divisions were restructured as Indian divisions, each with a British nucleus. The 4th and 5th Cavalry Divisions, also composed with British and Indian cavalry, were formed. The vital bridgeheads in the Jordan Valley were held by Anzac mounted troops throughout the summer months in what was considered ‘the hardest service in the war’. 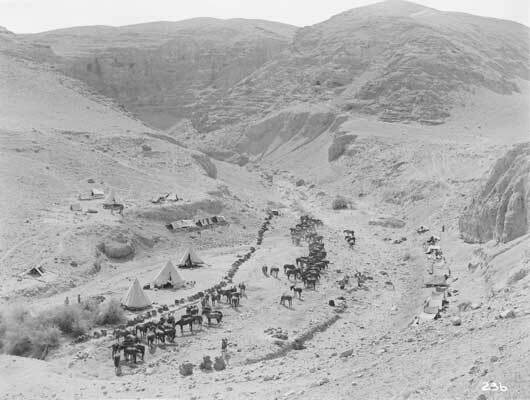 In September, following months of reorganisation, the training of new troops and formations and the building up of supplies and ammunition, the cavalry was moved in great secrecy to the coastal flank, leaving the Anzac Mounted Division in the Jordan Valley. The bulk of Allenby’s forces were massed on the coastal flank, having moved by night and with British air superiority keeping German pilots at bay. Turkish intelligence was unaware of the British movements, while the Turkish dispositions were being carefully plotted by the Royal Air Force, with 1st Squadron AFC being conspicuous in the mapping. The final campaign, which would be officially known as the Battles of Megiddo, was ready to be launched. At dawn on 19 September, the British-Indian infantry, supported by an air and ground bombardment, broke the Turkish line at its coastal end. At 9 am, the 4th and 5th Cavalry Divisions passed through the lines and along the coast, then across the Carmel range to reach the plain of Esdraelon, 50 kilometres behind the Turkish front, before dawn on the 20th. By evening the two divisions reached Nazareth, where General Liman von Sanders, the former commander on Gallipoli now commanding the Turkish forces in Palestine, had his general headquarters. Liman von Sanders and his staff managed to escape just in time. The Australian Mounted Division was Chauvel’s reserve. 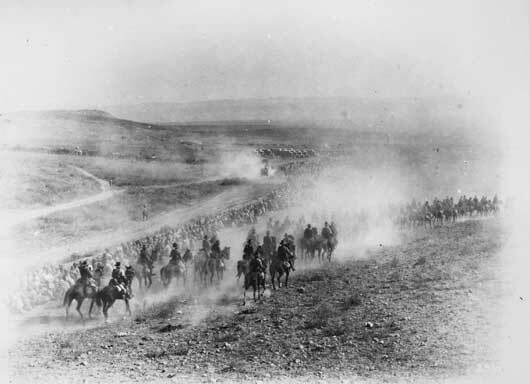 The 3rd Light Horse Brigade reached Jenin by the evening of 20 September in a position to catch the main part of the retreating Turkish centre. The railway line behind the Turkish centre was destroyed by the 5th Light Horse Brigade. Aerial bombing of Turkish signal centres blacked out news of the breakthrough. The Turkish 8th Army on the coastal flank was completely destroyed, while the 7th Army in the centre, was routed. The capture of Deraa, the crucial railway junction, cut off both the survivors of the 7th Army and those of the 4th Turkish Army east of Jordan. 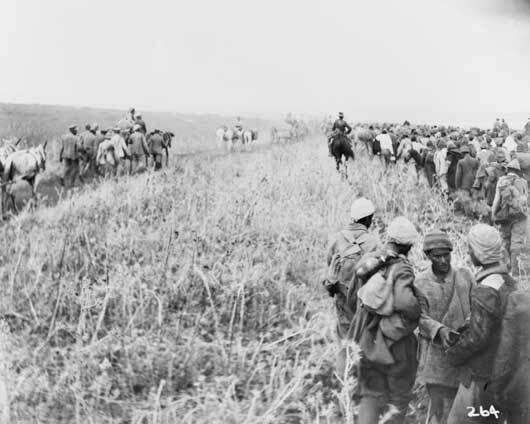 The Anzac Mounted Division advanced from the Jordan valley, captured Amman on the 25th and the remnant of the Turkish army from Arabia, 5000 strong, surrendered to the Anzacs on 29 September. A scene in the dust at Megiddo during the advance on Damascus by the Australian Light Horse (AWM B00256). 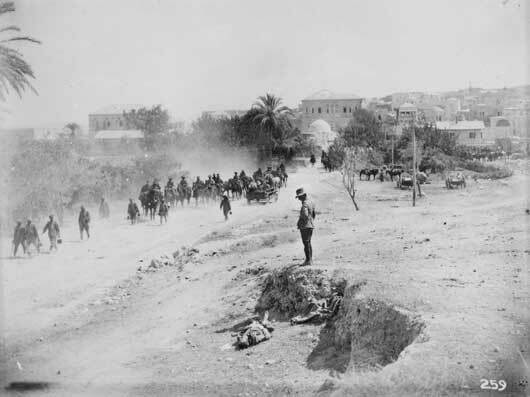 The town of Jenin on the morning after its capture by the 3rd Light Horse Brigade (AWM B00259). A Squadron, 9th Australian Light Horse Regiment, camped in the Jordan Valley near Jericho, during the summer of 1918 (AWM B00236). Turkish prisoners captured during the advance on Damascus, travel under guard from Jenin to Megiddo (AWM B00264). 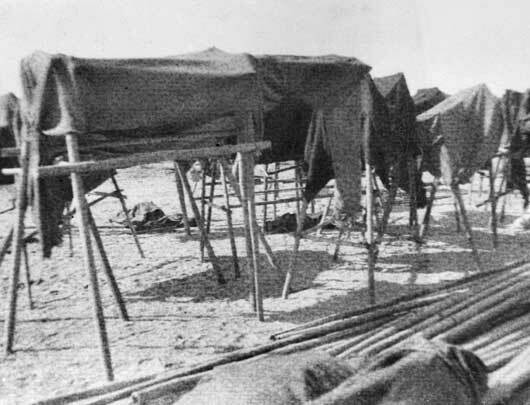 A row of dummy horses, designed to mislead enemy airmen, at a camp in the Jordan Valley (AWM B02667). 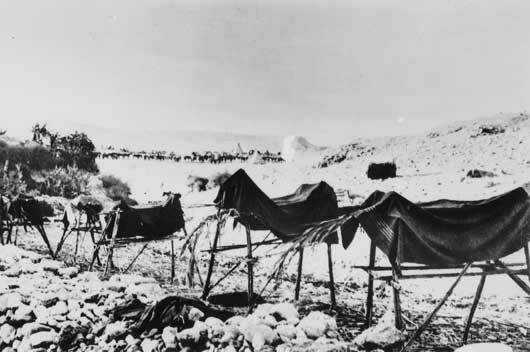 Dummy horses made by Corporal Smith, 6th Light Horse Regiment, in the Jordan Valley (AWM J06264). 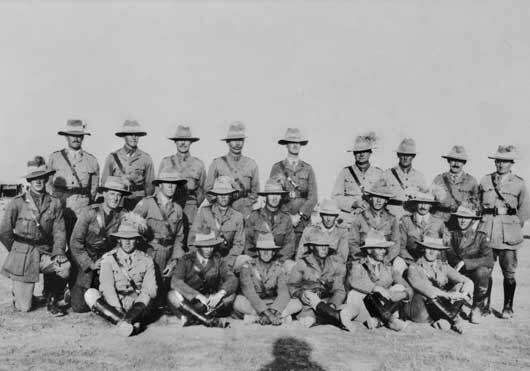 Officers of the 2nd Australian Light Horse Regiment in the Jordan Valley, Palestine (AWM P00794.001).